(Photo Courtesy/Michigan State Police) Alexander Bidlake was charged with criminal sexual conduct in the 3rd degree. 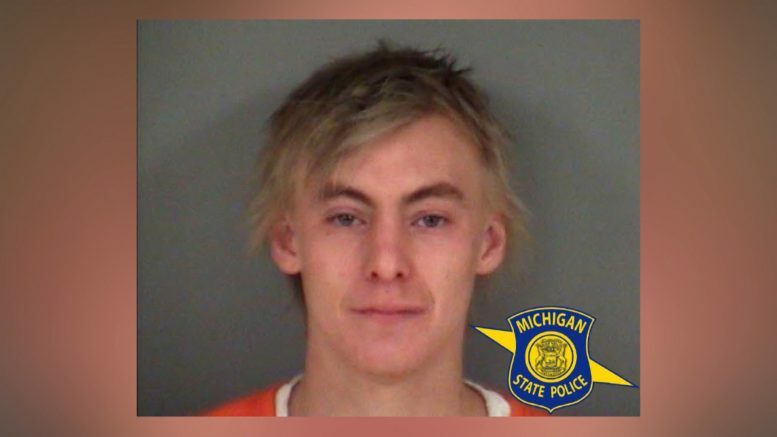 Rogers City, Mich. — A Michigan State Police investigation has led to the arrest a 25–year–old Rogers City man for sexual assault. Alexander Bidlake has been formally charged with criminal sexual conduct in the 3rd degree. Authorities say that a 15–year–old Harrisville girl met the 25–year–old on Facebook. In October, Bidlake drove to her home in Harrisville and brought her back to his home in Rogers City. He sexually assaulted her that night. The victim was reported missing by her parents. She eventually reported incident to a mandated reporter who turned the information into the Department of Health and Human Services. Bidlake was arraigned in the 89th District Court last Wednesday. He was assessed a $25,000 bond.